Make the most of your next convention with ONRT. Founded and operated by Cheryl Anker, our company offers an innovative way for employees and association members to bond, network, and see the city. With multiple running tour routes through the city you’re certain to get a beautiful view during your workout with us. No matter what your event entails, our invigorating runs are perfect for keeping attendees motivated and excited for the day ahead. Plan your fun-filled 5K convention race today. 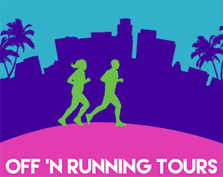 Off 'N Running Tours 5K runs and walks provide an opportunity for networking as well as a healthy alternative to the anticipated social mixer offered to convention attendees. Our running city tours also offer a terrific way for associations and corporations to accomplish superb charity fund raising for a foundation related to their industry or trade. Our management team handles all of the logistics and race direction services. They direct your race every step of the way, working with you from city to city. Races are geared toward both competitive and recreational runners, so everyone is free to join. 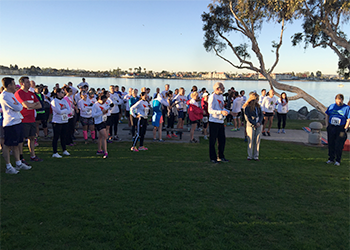 Runs begin as early as sunrise, allowing plenty of time for participants to attend scheduled meetings. Now a nationwide business, we've taken our full-service race direction service on the road. Drawing on our passion and experience, we've developed a way for convention planners to keep participants geared up for annual meetings in any city at any time of the year. 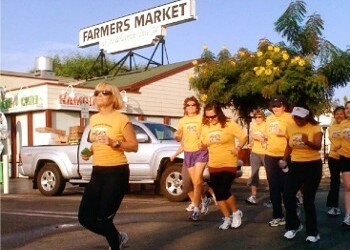 Cheryl Anker began her career in 1994 by offering running tours throughout the Los Angeles area. As a seasoned runner, she understood that a change of scenery makes all the difference in following through with a fitness routine. With this in mind, she began by offering guided running tours through Beverly Hills, Santa Monica and West Los Angeles for runners of all levels. 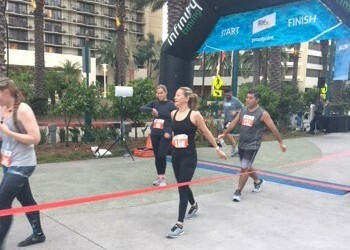 Inspired by Cheryl's success, we've expanded our scope to direct 5K runs and walks for public races throughout Southern California and annual conventions nationwide. When you work with us, we take your event seriously. We offer unmatched customer service and do our best to take care of our clients. 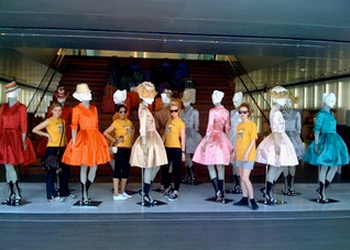 Thanks to our tireless efforts and show-stopping events, we've worked with many of our clients for a number of years. Mission Statement: Dedicated to providing fun, memorable experiences with a professional atmosphere. "Written up in magazines around the world, Cheryl Anker's OFF 'N RUNNING TOURS combines sightseeing and sport."